For the sake of argument, let’s say you know the basics of copywriting. Blah blah, write a compelling headline, know your audience, be persuasive, find your unique selling proposition, keep copy clean, blah blah blah. At one point, this advice was great. But from where you’re sitting, “write compelling headlines” isn’t helpful anymore, is it? Your evolved past pre-formatted headline templates & copied blogger advice. You need more. You’ve worked too hard and too long to be wandering through no-mans land, without any idea of how to improve. At this point a basic question “How do I know if this stuff is any good?” shouldn’t stump you. And yet, here we are. Can something as subjective as copy be judged as “good” or “bad”, without relying on a single opinion or inflated ego? Would you like to know my review process for improving web copy for myself and clients? Since using this process, the quality of leads and customers increase, conversions improve, and every single time, I feel like I become a better writer, without being put through the ringer. A word of warning: This is not a “tips” post. This process is for serious copywriters hungry to improve their craft. “Hacks, Tips, & Tricks” are useless at a certain point, and to be blunt, should be classified as noise pollution. Instead, we’re using data to improve your copy. Use this review process to hit your prospect in the gut, nag them while they sleep, or experience moments of pure joy when entering their credit card number, because they already know the dramatic improvement you’re bringing to their lives. This review process can be broken down into 9 questions. Write them down or print them out to ask after you’ve completing your next draft. 1. Does Your Copy Stand Up To A Peer Review? You probably won’t read on. Commentary & criticism are not welcome in this system. Reviewers are only to measure their gut response after reading the copy. Start by asking the group to rate the headline on the 1-4 scale, allowing raters to use decimal points (3.5) to accurately reflect how they feel about the copy. One person in the group calculates everyone’s ratings, and presents the average. If the average scores 3.2 or above, then the indication is the headline does not need to be changed. If the copy averages below 3.2, all participants are asked to make specific suggestions on how the copy can be changed, while the copywriter takes note. Say we’re discussing the headline “How to cash in on the technology boom”. Feedback like: “I think it should be more specific.” is a criticism. Without offering an alternative, the critic gives nothing more to discuss, and the conversation often dissolves into copy theory arguments. Feedback like: “How about trying ‘How to make 450% on the coming boom in cyber technology.” is good because it offers a suggestion to improve the headline. It adds specificity while keeping the elements the reviewer likes without criticism. After the revisions have been suggested, members of the peer review group rate the copy as stronger, weaker, or makes no difference. 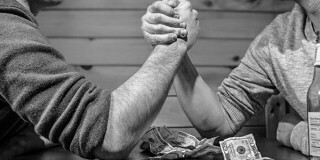 If the response is unanimously “stronger” the copywriter is required to make the change. If the response is split, it’s left to the copywriter’s discretion to make the change. Once the change has been made, the new copy undergoes the original 1-4 rating. The same process is repeated through the copy’s opening until everything is tightened and refined and the group’s rating is improved. Though technically good, you still have to ask you’re speaking to some sort of universal truth about the market. 2. 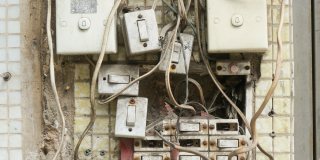 Have You Eliminated Confusing, Unbelievable, & Boring Copy? Theoretically, a Peer Review takes care of this. However, CEO’s & Marketing Directors are infamous for adding “cool sounding” gobbledygook that doesn’t make a lick of sense. Problem is, readers ALWAYS have something better to do, and are looking for reasons to stop reading. Confusing, Unbelievable & Boring copy are the perfect excuse to never look at your landing page, article, or promotional email again. Fortunately, You don’t need to be a copywriter to know if something is Confusing, Unbelievable, or Boring. This test can be conducted by emailing 5 or so avid customers, and asking them for a few minutes of their time to review. I’ve just finished a new promotion. I’m wondering if you can do me a favor. I really value your opinion, and I’m wondering if you can read this for me. If you could simply mark any of these sections, and then just jot a note in the margin letting me know it was Confusing, Unbelievable, or Boring, I’d really appreciate it. You have a great eye for this type of thing, and I know my promotion will be stronger if you can take the time to read it. Of course, any other comments or suggestions you have are much appreciated, but the main thing I’m looking for are places that are Confusing, Unbelievable, and Boring. There are three chapters dedicated to eliminating Confusing, Unbelievable & Boring copy with specific examples in the book – which at $7.99 for Kindle download is a steal – I’ll share a quick overview here, and strongly recommend you get the book. “In 2002, members of Congress and President Bush began formulating a new economic bill to benefit a certain group of investments. Don’t drag it out. Get to the point and sum it up in one line. In 2002, members of Congress quietly passed a bill to help themselves. By removing the Confusing, Unbelievable, and Boring areas, your copy gets out of the way, making your visitor feel like it was their idea to buy all along. A side benefit of working with avid customers is their willingness to focus you when the value proposition doesn’t accurately reflect why they love your product. 3. Do Visitors Scroll Down The Page And Hover Over Key Phrases? 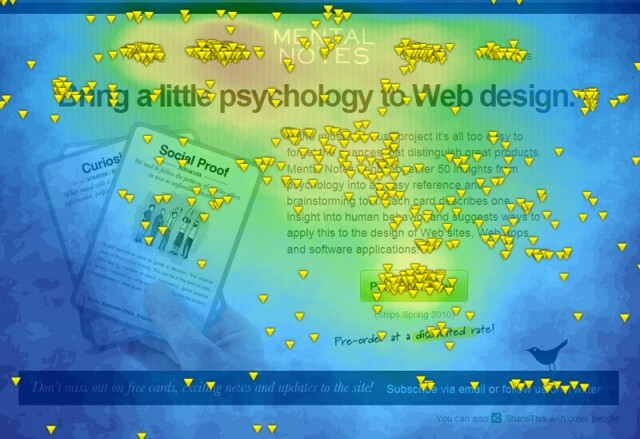 When the copy goes online, I use a mouse tracking service like Mouseflow or CrazyEgg to find what percentage of visitors are actually scrolling down the page. Knowing the average scroll length gives me a real world metric of how “compelling” the copy is. Because if it pulls the visitor further down, and they’re staying on the page, I can safely guess they’re taking in the details. Taking a step back, It’s important you understand my full process here. When I mock up a landing page, I insert text elements – headers, sub-headers, bullet points & bolded sentences first to act as a skeleton for the page. I do this first because I know most visitors read only between 20-28% of the words on the page(Nielson). Couple that with an average of 22% of visitors actually making it to the bottom of the page (ClickTale), I want to increase my odds of optimizing the page for “scanners” while building a solid foundation for adding images, video & design to draw the visitor to your call to action. The goal is to get every element of the page to tap into what web usability expert Jakob Nielsen calls the Information Foraging instinct. Once the text outline is in place, I’ll add images and other design elements to visually reinforce the story the copy is telling. After the page is live, the scroll and hover maps let you know which areas of the page are holding people’s attention, and where you can improve. This kind of unbiased data allows me to tweak select sections of a page, rather than creating a new page with every single test. 4. Are You Using The Right Copy Length to Call To Action Ratio? One of the most difficult things to predict is how much copy is necessary before your call to action. 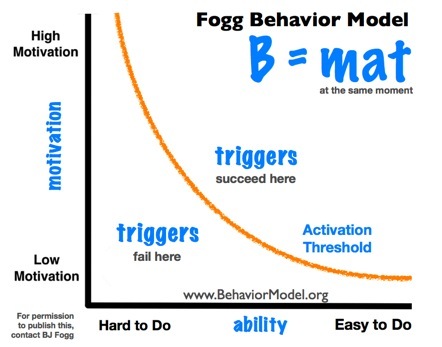 To gauge this, I look to BJ Fogg’s Model for Behavior Change. In terms of online copywriting, the appropriate length of copy before the call to action depends on the level of commitment you’re asking from your user. This is where things get a little tricky. The path to “sale” rarely as direct as scrolling down the page and clicking a button. According to Google’s Zero Moment of Truth Report, which surveyed thousands of shoppers across 12 different categories, the average consumer checks 10.4 sources of information before making a purchase decision. As you get to Ability and Triggers later in this section, consider that a visitor not clicking on the main “buy stuff” call to action, may not fall on the individual page, but on the content and copy strategy as a whole. The more someone needs something & the more difficult it is to do, the more copy they’ll need to get them to take the desired behavior. Looking at the graph, something like signing up for a Twitter account falls to the far right. It’s easy to do, but unless your friends, colleagues, or job depends on it (motivation), there’s not a lot of reason to sign up. This is why social networking sites like Twitter or Facebook can use simple landing pages using a few lines of copy. The motivation is low for the average internet user, therefore they don’t need a lot of copy to trigger why you should use the service. In contrast, visitors to ConversionXL.agency have a much higher motivation for visiting (make more money), but don’t necessarily understand why conversion optimization is hard. So the copy addresses the gap between Easy & Hard by explaining what conversion optimization is and contains plenty of benefits (triggers) before asking the visitor to fill out the form. That’s why sites like Moz.com increase conversions by using long pages, and e-tailors with superior shipping, customer service, and money back guarantees typically do better – the copy contains triggers that are proportionate (or higher) than the visitor’s motivation for being there. Are you making the desired action easy to take? According to Fogg “designers of persuasive experiences sometimes assume people have more ability than they really do.” He’s right. Sometimes we assume our prospects know they need a solution, when they’re really just discovering the problem. My friends over at Unbounce understand this. 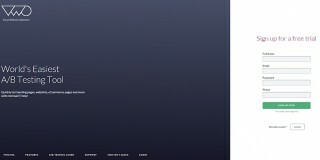 They sell a landing page creation platform that allows you to create beautiful pages without IT. But most people couldn’t use the platform properly without a basic understanding of landing page optimization. Understanding many customers need approval from the boss, they give even more ability with tiered pricing, a 30-day free trial, and integrations with other popular software providers. For examples outside of SaaS, Ikea has an office planning tool, Real Simple has an interior design style guide, and Men’s clothing affiliate seller Fashionbeans creates style guides for men’s clothing – all of which imbues “Ability” to would be buyers. While these things go beyond copywriting, if these benefits aren’t clearly communicated before the call to action, the conversion to paying customer is lost. How do you get your user to perform the desired behavior? This is where the larger content strategy comes into play. If you go back to the “effective drip campaigns” article, you’ll find a graph where Perry Marshall nearly doubles how much a visitor spends by using email auto-responders. Customers are willing to spend more later in time, because handing over an e-mail address is a much smaller first behavior than giving a credit card. On a sales page with a transaction that requires a large investment from your customer, triggers could include the unique value proposition, free trials, shipping offers, payment plans, money back guarantees, & attentive customer service – which should all be visible before the primary call to action. If the main sales page doesn’t convert as well as you hope, try using smaller triggers, like demonstration videos, webinars, ebooks and white papers which are lower commitments that add ability over time. Yes, it’s extra work, but it’s the kind of work that (when done well) is adding millions of dollars to bottom lines across the board. Don’t forget to A/B split test! The most straight forward way of knowing when your copy is effective is to always be testing against a control. At every point in this process, new ideas for improvement will come to you. Don’t let those go to waste. Test new headlines, add clarity to value propositions, and include new discoveries about your customers. The internet and it’s users are constantly evolving, your copy should too. Once you find copy that works, use what you’ve learned and test something new. If you use these steps, you are almost guaranteed to produce powerful copy that speaks truthfully and clearly to your reader every time. All good steps Tommy, especially using peer testing. Also, involving a mixture of different levels of knowledge of the topic you’re writing about is good for getting real measurements of how you’ve achieved effective copy. I’d add a 5th step. One that comes before these 4 and supports them too: Increasing knowledge of what your audience wants. Not just what they say they want in feedback. But reading between the lines. 80% or more of a writer’s job in converting people to their message involves a certain amount of telepathy. Not so much “write what you know” as “write what you can see is their desired future”. A big part of knowing if you’re on track with what you’re writing can be measured by the previous results you’ve had from readers, e.g. how much they engaged and took whatever action you wanted them to. Like you say in your And finally, Tommy: “users are constantly evolving, your copy should too. “, you need to keep one step ahead of your readers. And you need to know them well enough to stretch them and offer them ideas they might not have thought about, or been brave enough to admit to thinking about. It’s so useful to have a scientific way to think about the process. Thanks for putting such an awesome post together, Tommy. Tom, that’s a great point! Addressing future concerns so you can “seed” ideas for moving forward, and demonstrating proficiency across all levels. Thank you for adding that in! I’ve tried peer reviewing with friends and they have difficulty articulating why they feel as though they won’t read on. Sometimes they are able to say enough that I can tease out an answer but what’s the best way to help them explain what they’re feeling if they aren’t able to themselves? That’s the thing about the peer review Jim, is that they’re not really supposed to articulate “why”, just give specific suggestions as to fixing. Great article. This is full of actionable ideas. 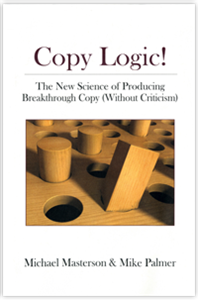 Outside of “Copy Logic!”, any other recommendations for books on copywriting? What would be your top 1 or 2 choices for someone with a solid foundation in writing but new to writing copy specifically? Love the excellent points under “eliminating Confusing, Unbelievable & Boring copy” especially; but so many of your points hit home. This post is really compelling for me as I write about tax and estate matters that can be on the dry or technical side. So thanks so much for your perspective, Tommy. I think good old A/B testing is the most easy to use method. It also has the advantage that the experiment is done in real time, on real users that react naturally to the copy. The only problem is that you won’t have a precise indication of what to change. It’s up to the tester to formulate hypothesis. Previous Article How To Do Conversion Optimization With Very Little Traffic?